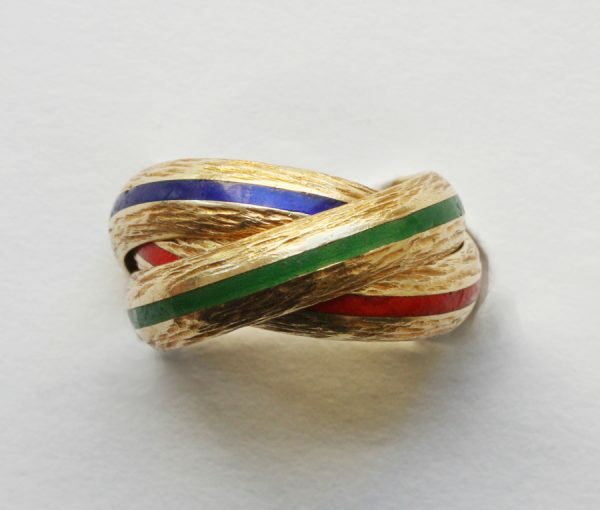 Three tressed 18 carat gold rings each textured and decorated with a small with a small enamel line in red, green and blue, signed: Hermès, France, circa 1970.
ring size: 14.75 mm. US. 4.
dimensions per ring: 4.5-5 mm. and together: 8-9 mm.